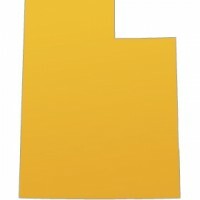 Utah tint law is pretty flexible compared to many states. The current law requires 43% on front side windows, and any VLT percentage on the back side and rear windows. That being said, the front side window requirement of 43% is more restrictive than 33 out of 50 other states. Cindy Kern of Orem recently requested that the tint law be changed to allow darker tints in Utah as she found that she has skin cancer on the left side of her face. The Utah State Police did not support the proposed changes, and countered with standard arguments regarding police safety when approaching darkly tinted windows. Cindy responded stating that 33 out of 50 other states has officers facing darker tint when approaching vehicles. The Utah legislators passed on voting on the matter, effectively tabling the matter. The TintCenter recommendation for the situation is for state legislators to allow at least UV/InfraRed blocking film like ceramic or nano-technology based third-generation window films on all windows of the vehicle including the windshield. These films allow for 99% UV blocking and 90+% of Infrared rejection for the 99.9% of drivers on the road who want to protect their skin and health. Ceramic and Nano Films also are exceptionally light allowing high transmissions of natural light which nullifies the police safety argument. While police safety is important, it needs to be balanced with the public health. sitters in the cars. Thanks for sharing this information.